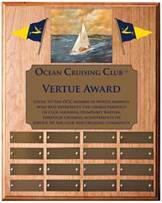 Doug & Dale Bruce, OCC Regional Rear Commodores, USA NE, announced at the 60th Anniversary Maine Rally that the OCC in North America is instituting a new award to be called the “Vertue Award” in honor of Hum Barton and his creation of the Ocean Cruising Club. It is to be “given to the OCC member in North America who best represents club founder, Humphrey Barton, through sailing achievements or service to the club and cruising community.” Hum Barton was a living symbol of the strong friendships between cruisers from Great Britain and those from North America. He created this marvelous club and a legacy that we shall always cherish. 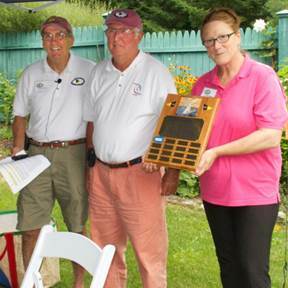 Peter McCrea of Thomaston Maine was chosen as the first winner of the Vertue Award. Peter fulfils all the criteria. He has been an OCC member for 21 years, having qualified in 1990 on a passage from Norfolk VA to Virgin Gorda BVI. His sailing CV includes the entire US East Coast from Maine to Key West; Bermuda – many times; an Atlantic Circle in 1994-95; the Eastern Caribbean in 1991 & 95, the Bahamas in 1999; Nova Scotia along the South Coast to Cape Breton in 2000. Plus eleven Bermuda 1-2 races, every other year from 1987 to 2013, sailing single-handed to Bermuda and 2-handed on the return to Newport. Peter has been one of OCC’s best Port Officers having served effectively in Newport RI and currently in Thomaston/Rockland Maine. He has spoken to our OCC New England gatherings on numerous occasions about his single-handing and general ocean cruising experience. His presentations are always well received. He has been a ready helper to those of us organizing events and gatherings. He gladly does the hard work and prefers to stay out of the limelight. Interestingly, Peter’s boat, Panacea, with sail number 35 is a Freedom 32... a small boat, not too dissimilar to Hum Barton’s Vertue XXXV. 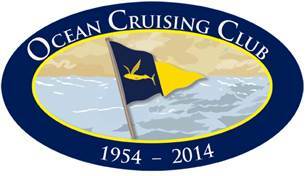 The Ocean Cruising Club exists to encourage long-distance sailing in small boats. A Full Member of the OCC must have completed a qualifying voyage of a non-stop port-to-port ocean passage, where the distance between the two ports is not less than 1,000 nautical miles as measured by the shortest practical Great Circle route, as skipper or member of the crew in a vessel of not more than 70ft (21.36 m) LOA; associate members are committed to the achievement of that goal. This standard distinguishes the OCC from all other sailing clubs. It’s not about what you are or who you know, but simply what you have done, that matters. Our membership as a whole has more experience offshore than any other sailing organisation – in the number of circumnavigators, in the range of extraordinary voyages members have completed, and in the number of solo sailors, and female sailors among our ranks. This is what sets us apart from other organisations, even as it draws us together as a group. We bring the spirit of seafaring to our association by always being willing to assist any fellow sailor we meet, either afloat or ashore. With a central office in the UK, though it has no physical clubhouse, the OCC is, in a way, the “home port” for all of us who have sailed long distances across big oceans. With 48 nationalities and Port Officers in as many countries, we have a more diverse membership and a more international reach than any other sailing organisation. Our Port Officers and Regional Rear Commodores represent the frontline interaction with our existing members and the recruitment of new members.